1. Support is offered during our business hours, Monday to Friday, 10:00 – 19:00 GMT+2. Any support ticket is answered within maximum 24 business hours depending your support subscription, on the workload, as well as the time necessary time to study and find the best solution to your support enquiry. If you purchased a theme and selected “Priority support” option, we guarantee the answer to your support request in the same business day, since the priority support is handled before the standard free support. Each support ticket is treated with maximum attention regardless of your support subscription. Also, before opening a support ticket, please make sure that your support subscription is active. At the moment, each of our available themes comes with 30 days free standard support or 30 days paid priority support, depending on what your support subscription choice was at the moment of purchasing a theme. 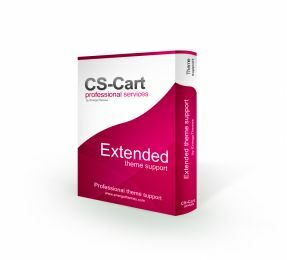 Should your support period be expired, an Extended Theme Support service must be purchased. Any bugs found in our products may be submitted at any time regardless of whether your support subscription is expired or not. However, issues related to third party incompatible addons, incompatible third party changes, incompatible CS-Cart versions or broken CS-Cart installations are not considered product bugs. 2. 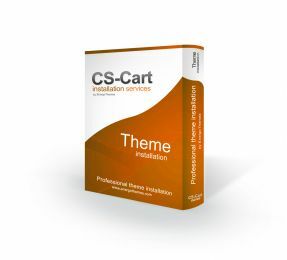 Any of our available themes comes with a complete installation and configuration guide. Also, please note that any of our available themes is delivered “as is”. Our support refers strictly to helping you to get to the same results as on our demo sites, in case you do not understand something from the documentation, or helping you with whatever issues strictly related to the theme, should anything come up during the theme installation/configuration process. Before you open a support ticket, make sure you read and follow all of the installation/configuration steps presented in the product documentation, in the exact order they are stated, as this documentation is also meant to save both of us time. All of the installation/configuration steps have been thoroughly tested previously and should they be correctly followed, you’ll get to the same results as on the respective theme demo site. 3. Support is offered exclusively to our own products/services. 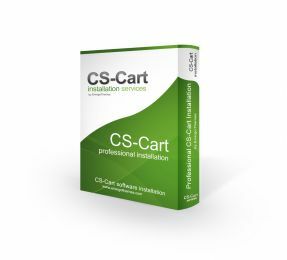 We do not support issues that might appear due to third party incompatible changes or third party incompatible addons you have installed or incompatible CS-Cart versions or broken CS-Cart installations. Also, support is offered only to the latest versions of our own products so please make sure you always stay up to date. Should you need help with any issues generated by third party changes/addons installed, you will have to contact the third party developer(s) as they are responsible to ensure the necessary support for their code/addons. Should you wish us to investigate and eventually fix the issues related to a third party code/addon, you need to Request a Quote. 4. Before opening a support ticket, please make sure that your issue is not caused by any third party addon(s) or third party code/changes. Should we conduct an investigation and detect that your issue is caused by such third party addon(s) or third party code/changes, the time we spent to help you identify the cause of your issue has to be paid. You have the obligation to make sure that any third party addon/code/change you add to your store is correctly created and it is compatible with our product(s) as well as with the correct CS-Cart version your are running at the respective moment. 5. Theme Support does not include CS-Cart Support. Questions like: “How do I create a page in your theme?” or “How do I upload a banner in my admin panel?” or “How do I choose the product filling for a product carousel block?” or “My admin panel does not work anymore, what happened?” etc… These issues are strictly related to CS-Cart itself, and are not part of theme support, regardless of your support subscription. Regardless of the theme you are using, you still create a page in the same way, upload a banner the same way, you choose a product filling in your product carousels the same way, unless there are some other ways specific to a particular theme, and which will be part of the theme support. Also, our themes are never affecting your CS-Cart admin panel. However, please note that in our theme documentations, we have included all the details needed for you to get to the same results as on our demo sites, even if many of the required installation/configuration steps are strictly related to CS-Cart knowledge as in the above examples. 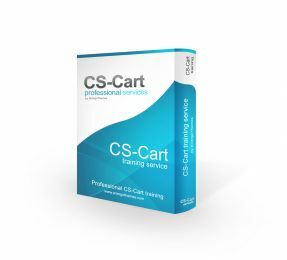 purchase a CS-Cart Training Service from us. 6. Support for improper CS-Cart or theme usage. We do not offer free support for improper CS-Cart or theme usage due do inadequate changes made either to CS-Cart or to our themes which may result in a fully or partially not working CS-Cart or not working theme. It is your responsibility to make sure that any change/setting you do to your CS-Cart installation is in accordance to CS-Cart documentation, or any change/setting you do to any of our themes is in accordance to the theme documentation. 7. Support for issues caused by theme upgrades. After you updated our theme to a newer version and faced an issue due to an incorrect upgrade or not following the upgrading instructions, free support is offered only if you are within your support subscription period. Should your support subscription be over, you have to either purchase an Extended Theme Support service or otherwise carefully read and correctly follow the theme upgrading guide, included in every updated theme package. Purchasing the Extended Theme Support service will only enable us to help you with issues generated by an incorrect upgrade or not following the upgrading instructions or problems that might appear during the upgrade and that are strictly related to our theme. It will not include investigating or fixing issues generated by third party incompatible addons, incompatible third party changes, incompatible CS-Cart versions or broken CS-Cart installations/upgrades. Should we conduct an investigation and detect that your issue is caused by such third party addon(s) or third party code/changes, the time we spent to help you identify the cause of your issue has to be paid. On the other hand, should it be proven that after the theme upgrade, issues came strictly due to a theme bug, then free support will be ensured in fixing that bug and help you correctly upgrade regardless if you are or not within your subscription period. 8. Support offered to issues related to customizations created by EnergoThemes before you update a theme to a new version. Some code customizations made to a CS-Cart theme may be preserved in future CS-Cart theme updates (through the use of the “My Changes” addon), but some of them may not be kept since they cannot be done using the “My Changes” addon. When you update a theme to a new version, you will replace the old theme files with the new (default) theme files corresponding to the new theme version. If you contracted EnergoThemes to make code customizations to an old version of a theme, the customizations which could not be done through the “My Changes” addon, thus couldn't be preserved in the new theme version, need to be created again. In this case, you need to Request a Quote so that we re-create those changes. 9. Any support for any products/services you purchased is offered exclusively through our ticketing system at www.support.energothemes.com. No support will be offered through the contact forms on our website or by sending us emails, as those are used in different scopes, like pre-sales enquiries, order issues, quote requests or other general enquiries.